In the lead up to the 2017 celebration of 100 years of women students at the AA, the AAXX100 project team have been carrying out, in conjunction with the AA Archives, a series of oral histories with alumna of the school. 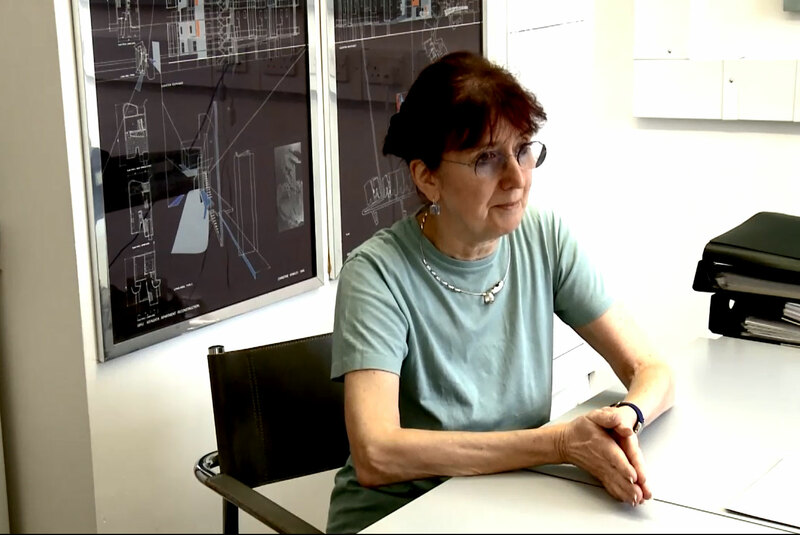 Most recently interviewed was Professor Christine Hawley who studied at the AA in the early 1970s before setting up Cook and Hawley Architects in 1975. Alongside her architectural practice (Christine Hawley Architects) she has a distinguished career as an academic, having taught for many years at the AA and having been the head of the University of East London School of Architecture and Dean of the Faculty of the Built Environment and Head of School at the Bartlett, London. Following a major exhibition, publication and symposium to be held at the AA in 2017, the oral histories will be made available to researchers using the AA Archives. Other recordings include interviews with Julia Barfield, Dame Patty Hopkins, Eldred Evans, Su Rogers, Inette Austin-Smith, Georgie Wolton and Gillian Hopwood. Interviewers for Prof. Hawley oral history: Hannah Durham, Edward Bottoms.